The future of home-internet has begun in the US. Following Verizon’s recent announcement of 5G service and the eventual launch of its home 5G broadband service, T-Mobile is beating Verizon to the punch line. 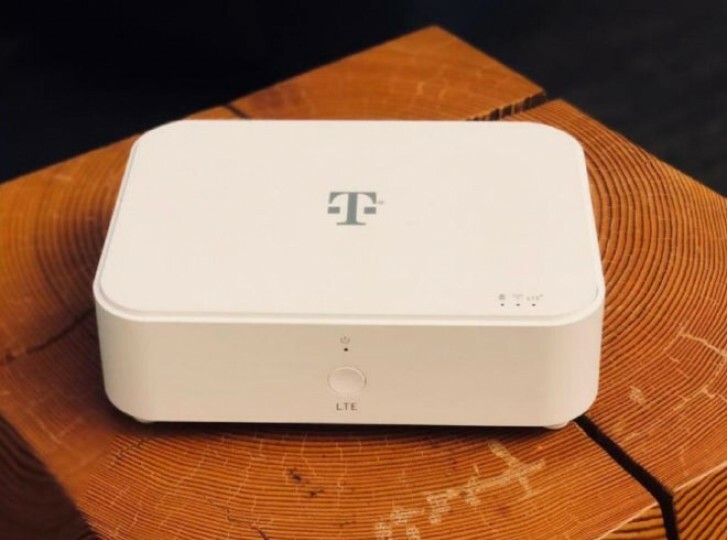 No, T-Mobile doesn’t have a 5G network yet, but it believes it can deliver home internet via 4G LTE. On Thursday, T-Mobile is announcing a limited pilot program called T-Mobile Home Internet. The service offers unlimited internet over a 4G LTE connection, fit enough for a household. T-Mobile is only offering the pilot to specific areas where the carrier has enough capacity to cover a number of households with download speeds of about 50 Mbps. T-Mobile will offer this for $50 per month with AutoPay and no data caps. To be eligible, you’ll need to be in an area that T-Mobile can sustain a 50Mbps connection with strong LTE coverage and you must be an existing T-Mobile customer. T-Mobile will begin sending out invitations via email to join the program if you meet the initial criteria. T-Mobile will let you borrow equipment without monthly leasing fees. This is in the form of a home router that can connect to the LTE tower and distribute data through either Wi-Fi or an Ethernet connection to your existing Wi-Fi network. This pilot program will hopefully show the United States that disrupting the cable company oligopoly. Many Americans are forced to choose between cable companies that control the majority of the industry and many only have a single choice. Cable companies in the home internet industry are among the poorest in customer satisfaction according to the American Customer Satisfaction Index. T-Mobile claims that it would be able to really compete with cable providers when it joins its network capacity with Sprint, should the merger be approved. It claims the new T-Mobile will be able to support 9.5 million American households by 2024 and cover more than half of mostly rural U.S. zip codes that currently don’t have high-speed broadband available. It also hopes to offer double the speeds by the time the service migrates to 5G. The entry-level cable speeds in many parts of the US is anywhere between 10Mbps and 20Mbps (Yeah, we’re behind on infrastructure). So if T-Mobile can manage consistent 50Mbps speeds to homes without constant interruptions, it should be able to disrupt the home internet industry in the States. Offering home broadband via 4G LTE network isn’t a new concept, but it is not very common in the US. T-Mobile is also planning to launch its TV streaming service, which would nicely compliment T-Mobile’s Home Internet service to totally relieve The US’ dependence on cable companies. This is a change I’ve personally been waiting for and I’m excited to watch the cable industry change. This is how you get people pumped for 5G, not by rebranding 4G LTE as “5GE”.